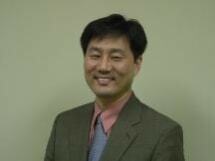 Of Counsel is Kang Cheol Lee, born in South Cholla, South Korea, on April 13, 1962. He received a B.A. from Yonsei University in 1988 and served the Korean Government in the Ministry of Health and Welfare for over 8 years. He received a J.D. in 2002 from the University of Iowa College of Law and was admitted to the Tennessee bar in 2002. Since then, he exclusively focuses on immigration law issues for Korean immigrants in the Metro Atlanta and Montgomery areas. He is a member of the American Immigration Lawyers Association.